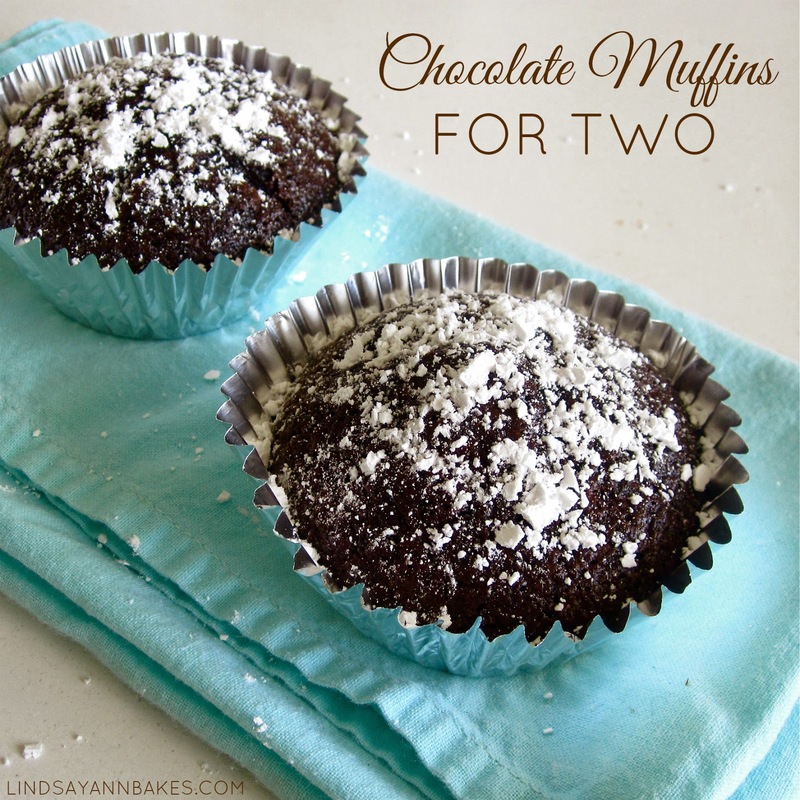 Just in time for Valentine's Day... ooorrr breakfast, dessert, or that late night chocolate craving ;) Here is another small-batch recipe that makes just TWO moist, fluffy, chocolatey muffins, in one bowl, right in the toaster oven! The batter comes together in one bowl in minutes. Then just pour it between two baking cups placed in ramekins. Or in a cupcake pan. Pop them in the toaster oven and viola! These muffins are extra moist, packed with flavor, and have a super soft, velvety tender crumb. Best of all, they bake up nice and pretty with a perfect, fluffy dome on top. Even add some filling, to really jazz them up! I like to top them with a simple sprinkle of powdered sugar, but feel free to check out my Go-To Frosting & Filling Recipes (with flavor variations) to create a sweet glaze, some smooth cream cheese frosting, or a little creamy buttercream frosting in just about any flavor! 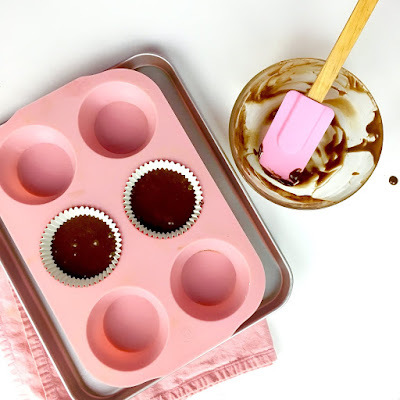 Preheat the toaster oven to 350 degrees F. Place a cupcake liner in 2 oven safe ramekins or small custard dishes. 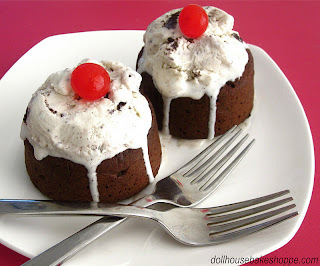 In a small bowl, stir together the flour, baking soda, baking powder, salt, cocoa and sugar. In cup whisk together oil, egg yolk, vanilla and water. Gently stir wet ingredients into dry ingredients, just until incorporated. Distribute the batter, filling almost up to the top, between the two baking cups. Bake for 16-18 minutes, or until an inserted toothpick comes out with a few moist crumbs. Sprinkle with powdered sugar.